Mount Prospect Project. Mount Prospect resides inside the State of New Hampshire's Weeks State Park, a glorious preserve the centerpiece of which is Mount Prospect. 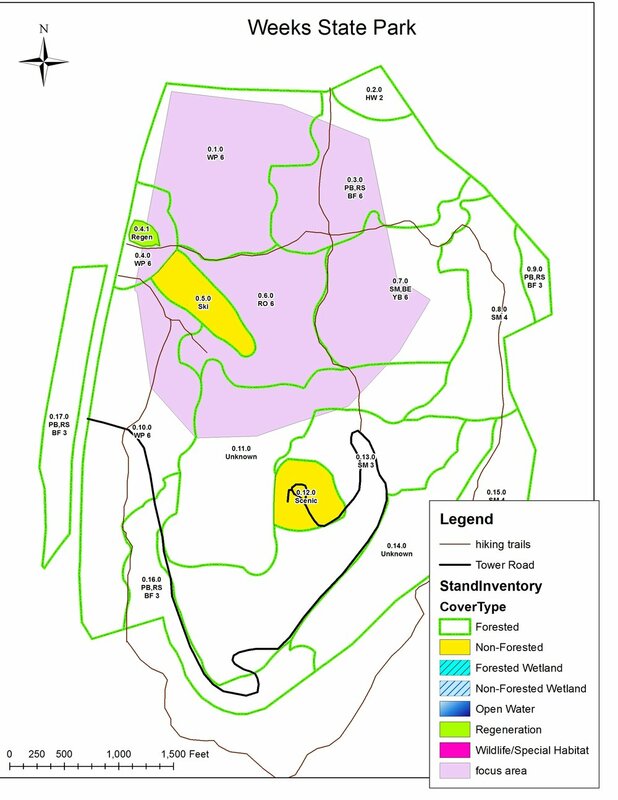 Mount Prospect serves as the base for a variety of recreational activities, including hiking, biking, an auto road to the summit, snowmobiling, a ski tow, and now possibly the introduction of ski glades. The ski tow is managed and operated by a group of volunteers that are interested in a way to keep the organization solvent and attractive to a general audience. Enter GBA. 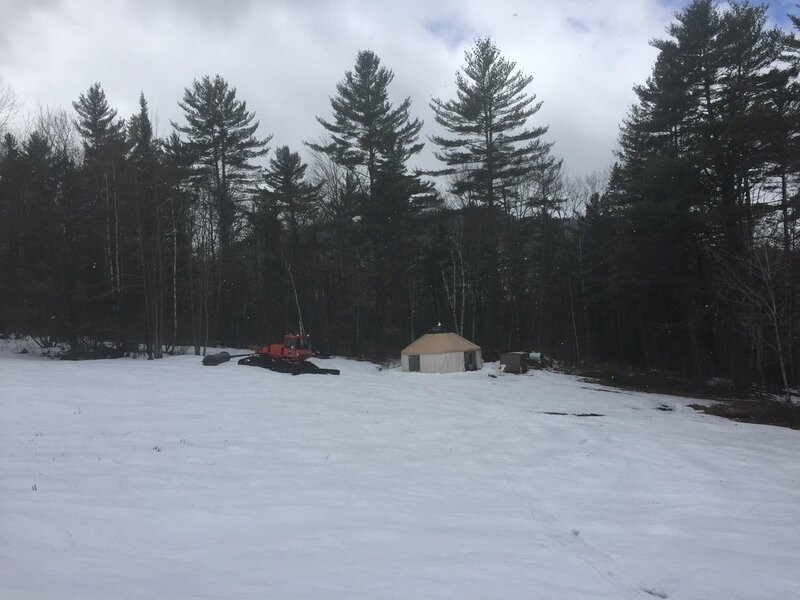 We are committed to enhancing the opportunities on Mount Prospect and looking to reclaim old ski trails and convert them into awesome glade skiing directly off the auto road. Project Glade Proposal. GBA's Glade Designer examined the area early in May, 2017. There are a half a dozen or more good routes down the front side that are achievable with a strong volunteer workforce. There is opportunity for a traverse across the top by the wooden view platform around 2000’ and glade lines could drop from there. Skiers right line could connect to the existing logging trace through the patch cuts and the skiers left would be near an obvious ridge with huge Oaks and Maples. The middle lines would feed into the ski hill and the outer lines could go all the way to the base area. Ski Tow Operation. 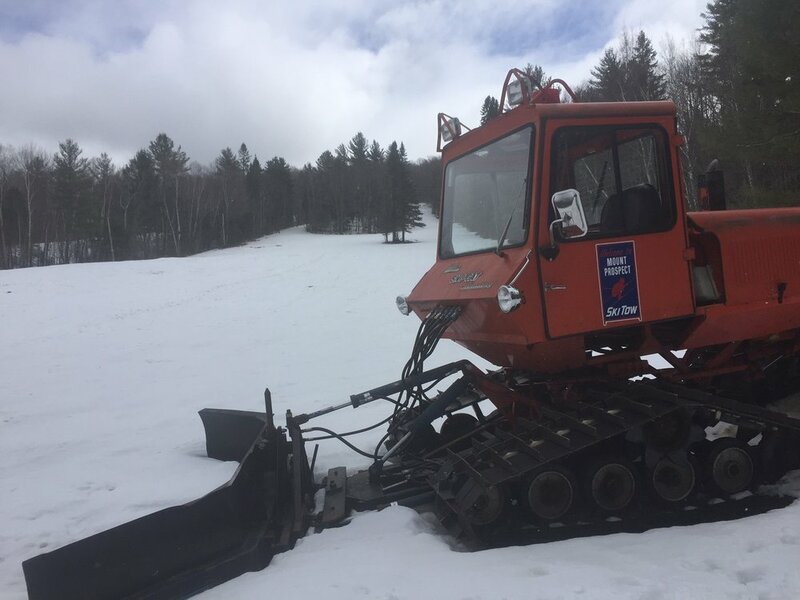 GBA intends to empower the Ski Tow operation by delivering more folks to the area by creating an attractive new product as well as provide fundraising assistance.